A MOTHER IS ALWAYS A MOTHER. SHE NEVER STOPS WORRYING ABOUT - ProudMummy.com the Web's Community for Mums. A MOTHER IS ALWAYS A MOTHER. 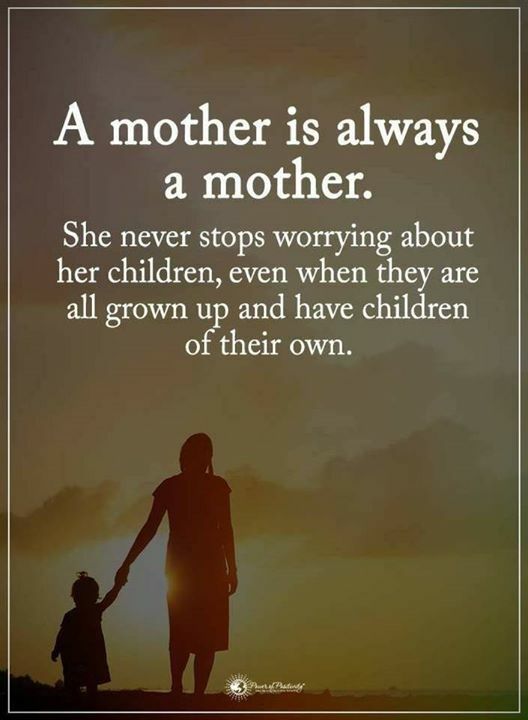 SHE NEVER STOPS WORRYING ABOUT HER CHILDREN, EVEN WHEN THEY ARE ALL GROWN UP AND HAVE CHILDREN OF THEIR OWN.